​​ AUSTIN – It took about four months to turn a former computer-chip plant in East Austin into a factory for a new type of noodle. 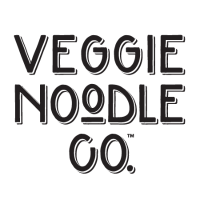 Veggie Noodle Co.'s new factory isn't filled out just yet, but at capacity it will be able to hold 600 pallets of butternut squash and other organic vegetables that will be conveyed through a system that cleans them, spiralizes them into noodles and then packages them to be shipped out to more than 1,400 stores across the country. Operators think it's the second-largest food manufacturing facility in Central Texas behind Michael Angelo's Inc.'s factory in North Austin that cranks out frozen Italian food. Veggie Noodle has 41,000 sf to work with—far more than the 17,000 it just vacated. And it's a cold place—38 degrees, to be exact, making workers there among the few Texans who carry a jacket to work during the summer. ​Check out more industrial stories across Texas.